Viva Technology is over for another year, and what an intensely riveting three days this edition has been. Bringing together the world’s talent, VivaTech 2018 played host to 9,000 startups and hundreds of established enterprises, including 22 Houses of the LVMH group. Welcoming 100,000 attendees through its doors from 125 different countries to witness the plethora of innovations and inventions, the third edition of the event was a veritable success. Let’s take a closer look at the developments which made a buzz both beneath and beyond the hive-like canopy of the LVMH Luxury Lab, from French President Emmanuel Macron’s visit to the LVMH Innovation Award. During the three-day event, the 500m2 of the LVMH Luxury Lab kept receiving — very often at the delightful LVMH bar held by La Grande Épicerie de Paris and some up-and-coming, local producers from the Paris region — a very large number of people, most notably French President, Emmanuel Macron, and the Minister of State for the Digital Sector, Mounir Mahjoubi. The pitch space, centrally integrated in the beehive-like structure, served as one of the major points of attraction. 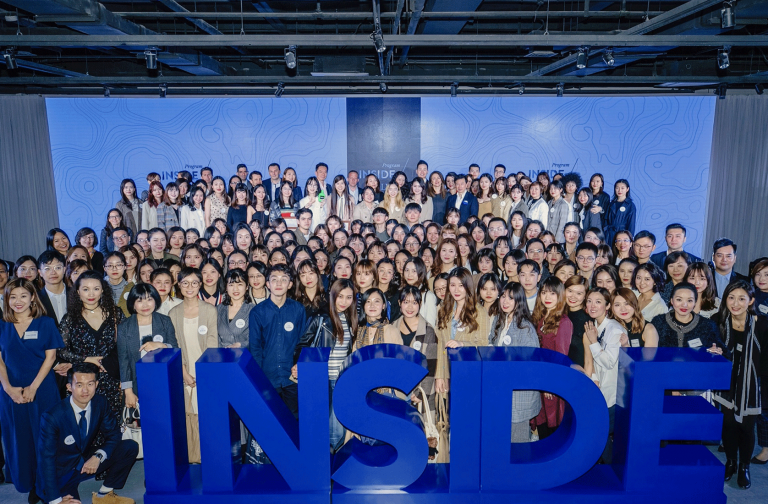 It was on this stage that a selection of some of the brightest minds of LVMH Maisons shared their vision for and ongoing efforts in innovation and digital transformation. 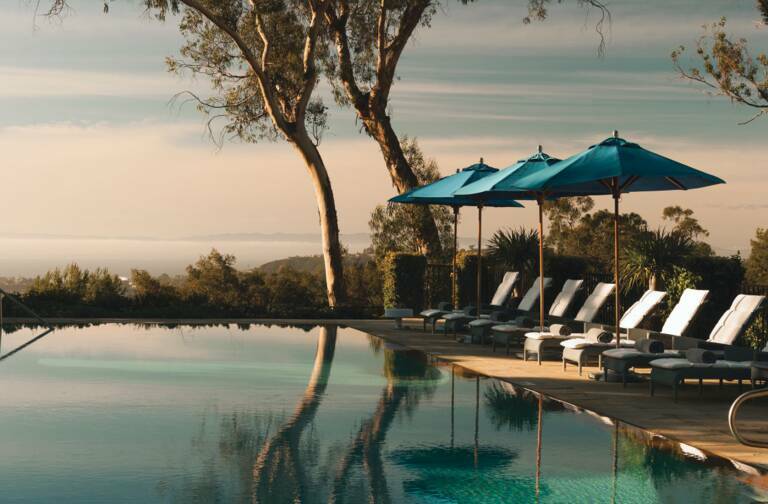 Deeply embedded in the DNA as a core value of the LVMH group, providing a source of continued success and authenticity since our inception, innovation inspires the Group’s houses in their quest for excellence, creating an ongoing dialogue between tradition and modernity. Among the 22 Houses present was Veuve Clicquot. Offering passersby virtual tours of their historic headquarters in Reims with their virtual reality “Arrow Connect” goggles, Veuve Clicquot continued to wow spectators with the unveiling of Clicq’bot, the world’s first digitized champagne sommelier. Louis Vuitton presented its Horizon luggage collection, designed by Marc Newson, with its new connectivity service and Sephora gave a voice to beauty with an application developed in partnership with the Google Home smart speakers. The app lets customers book an appointment at Sephora stores, listen to podcasts on beauty news and test their knowledge by taking a beauty quiz. Simultaneously, Ian Roger, LVMH Chief Digital Officer, and Andrew Wu, LVMH President Greater China, shared their vision regarding China and the growing market potential in this part of the globe at the CEO Forum. 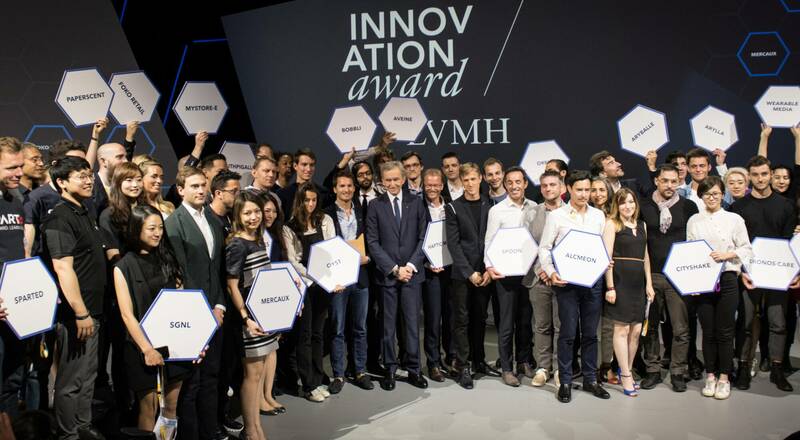 From 820 applicants to 30 finalists and ultimately one winner, the startups who took to the stage on the first day to pitch their potential to the LVMH Innovation Award Jury offered a wide array of solutions spanning eight categories, including augmented reality marketing, anti-counterfeit technology, and new and sustainable materials. Ultimately, it was e-commerce tool, Oyst, which took the top spot with its easy, practical and secure one-click purchase button. Taking aim at the bête noire of online commerce, Oyst sought to turn clunky digital dealings into a simplified and streamlined experience wherein consumers are able to purchase any product on a website in a single click directly from the product page without entering any login information, delivery address or bank details. Online shopping looks set to get a whole lot easier now with the spotlight of the LVMH Innovation Award firmly upon them. The two runners-up, VeChain and Kronos Care, have also been fully appreciated. VeChain is among the oldest organizations in the blockchain industry, having been first established in 2015: it offers a solution allowing enterprises to interact and transact with one another without the need for third-party involvement. Quoting British computer scientist and mathematician Alan Turing when asked what is the best piece of advice he’s ever been given, the director of VeChain repeats: “Do the thing no-one can imagine.” With the aim of creating a platform able to ensure 10,000 transactions per second, VeChain is certainly heeding Turing’s words. As for Kronos Care, putting people at the core of commerce is its recipe for success which earned it a spot in the runners-up. By revising retention techniques to vastly improve the post-purchase process, Kronos Care is allowing retailers to better engage customers with their flexible, automated and turnkey solution offering a seamless tracking experience and personalized content and communications methods directly on the tracking page. As part of the LVMH group’s commitment to corporate social responsibility, events were held over all three days of VivaTech 2018 dedicated to bettering opportunities for young talent and providing them with a platform to demonstrate their potential for growth. Among the events, make.org asked budding entrepreneurs to conceive a unique solution to offer every young person an opportunity to succeed, while participants of the LVMH INSIDE program took to the LVMH Luxury Lab stage to present their ideas to improve customer retention and post-purchase experience. It was not only the innovators who were raking in the rankings at this year’s VivaTech, thanks to our talented 300 plus-strong team working on the LVMH Luxury Lab, the Group ranked 5th in quickest-mentioned partners for the first two days and scored the 12th place for most-mentioned company among all of the organizations, partners and personalities present at the event. 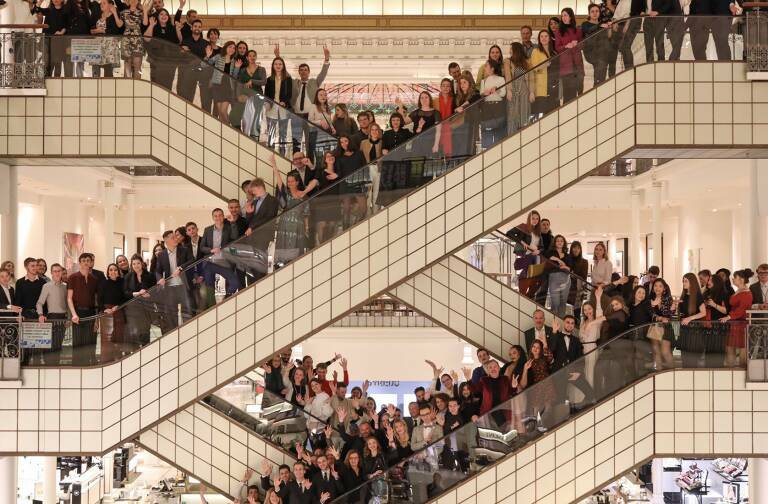 Among partners alone, LVMH took the fifth spot! With each subsequent iteration of VivaTech, we have been overwhelmed by how the talent and innovations have greatly surpassed our expectations. Here at LVMH, we are looking forward to the year ahead and the burgeoning talent VivaTech 2019 promises.